Donald Glover’s Atlanta is a great show, detailing a subversively meditative reality about the lives of modern day black folk. I mean, really, there’s a scene of a QT cup knocked over on a table amidst other paraphernalia I can't name. How authentic can you be?! As an Atlanta native, I can watch the show for hours relating to the small details (like the QT cup on the table), which I know are developed specifically for me. That’s powerful. Yet, despite the overt cultural references, it’s the underlying elements, which subtly depict the negative implications of Atlanta’s unique development patterns, that makes the show truly genius. Fumbling to attain a version of The American Dream, the main characters of Atlanta are stymied by the everyday struggles of living in modern America. Earn (Donald Glover), Alfred aka Paper Boi (Brian Tyree Henry), and Darius (Lakeith Stanfield) plan to better their lives by getting into the music industry. But the crew realizes what appears simple is far from it. Interwoven throughout the rags to riches tale, however, is a deeper story that elucidates the complex development history of the show’s other star character — the city of Atlanta. Seconds into the show’s trailer, wide camera angles pan the city where the story of the new series unfolds. Panoramic scenes depict a sprawling cityscape rising from the lush, green canopy of dense tree coverage. There's a massive 10-lane highway followed by a shot of small, circuitous neighborhood streets that lead to nowhere, and an array of cookie-cutter single-family detached homes juxtaposed by a dilapidated house reeking of blight and overdevelopment. Clearly, Glover, the show’s creator, wants to situate the viewer into a world where the story arc mirrors its context. A world where well-intentioned plans lead to bad outcomes — a devastating combination that makes life difficult not only for the series' fictional characters, but millions of real-life Atlanta residents as well. Atlanta’s development of transport infrastructure and urban form can't be separated from its history of racial and class segregation, resulting in a city with limited opportunity (and mobility), especially for those with low income and no car. Initially, Atlanta existed for no other reason than it being a prime location for transportation. Looking at a map reveals a city without a port or navigable waterway, nor any other feature to explain its regional prominence — but it did have railroads. It was a railway city until it became a car and airport city. Earn even works at Atlanta’s airport — the world’s busiest, further articulating the centrality of transportation in the lives of Atlanta’s residents. From this infatuation with transportation spawned an abundance of freeway (Atlanta is at the crossroads of three major U.S. highways) and greenfield development, creating a metropolis that spends more time getting to a destination than actually being there. A tough pill to swallow for those in the region with little to no access to a vehicle. 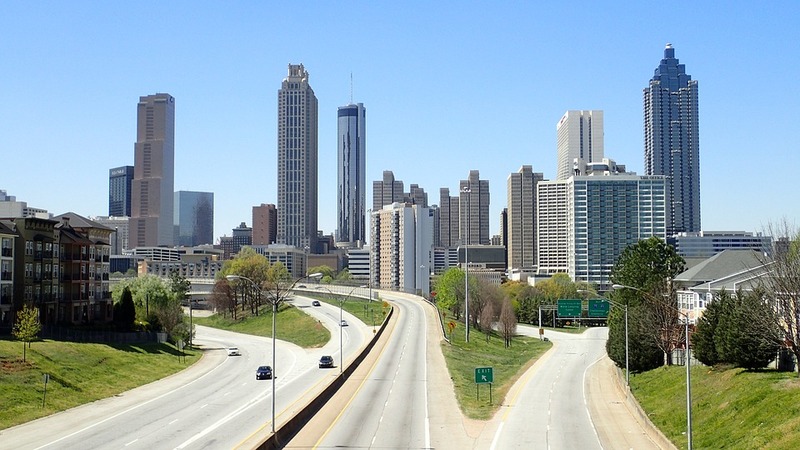 The city’s fixation on transportation merged with an equally effective tool used by the political elite to influence Atlanta’s poor development patterns — racial and class segregation. As early as the 1920s, lawmakers used “the street” to demarcate areas where black people and white people weren’t allowed to co-mingle. For example, in 1929, a law denied any individual the right to move into a building on a street in which “the majority of the residences…are occupied by those with whom said person is forbidden to intermarry.” And just to be clear: In the Jim Crow South, two people of different races and/or ethnicities could never marry. In the 1940s and 1950s, manipulation of urban form as a tool for segregation kicked into high gear. Spurred by significant federal legislation (including housing mortgage subsidy) and local planning efforts, Atlanta built a massive system of roads, freeways and highways that paved the way for the boom of urban sprawl, suburban population growth (driven by white flight*), and regional car dependence. Racism also impacted the development of MARTA — Atlanta’s public transportation railway. In 1960, the state legislature created the Metropolitan Atlanta Rapid Transit Authority (MARTA) to operate in the five core counties of the Atlanta region. However, the initial plan was far from its reality; the legislature ended up only granting funding for the railway in the two counties containing the Atlanta proper. Fears that MARTA would allow poor blacks access to the suburbs and bring crime and “urban” problems stymied any efforts of expansion, which still plays out to this day. A racially insensitive play on the acronym — Moving African [Americans] Rapidly Through Atlanta — articulates the offensive sentiments felt by white and/or upper-class folk living in Atlanta, thinking the regional system was nothing more than a social service for poor blacks. Today, the impacts of a region that ballooned in size through racial segregation, economic growth and car dependence lead to a peculiar existence the show captures remarkably well. Because of the city’s extreme class and racial division (the city has the highest income inequality of any city in the US), many viewers of the show will discover Donald Glover’s version of Atlanta for the first time. However, the world portrayed on TV is all too familiar for some. Everyday activities such as walking in the middle of the street because there are no sidewalks for one to use, traversing through several counties to get to work because it’s rare to find a decent job and a decent house in the same location, or hanging out in a friend’s living room because there's nothing better to do for miles around, depict a class of people making the best of a bad yet intentional situation. The city of Atlanta, which happened to host the last summer Olympics on U.S. soil, does its best to champion the ideal of growth and progress. Fortunately, the TV version shatters the image to portray a glimpse of the struggle in the pursuit of that progress. *The growth of the suburbs was also driven by “white flight.” Desegregation of shared communal spaces, such as schools, catalyzed the flight of white residents for car dependent suburbs. The result—by 1970—Atlanta was majority black, as over 60,000 white residents had left during the previous decade. Loving Blavity's content? Sign up for our newsletter!